The enemy is here. The rampaging hordes of monsters have been ransacking the countryside, but now they've made it to the walls of the castle. Comparatively, they outnumber you about a billion to one. But all is not lost... hopefully. By banding together, the remaining survivors look to turn the tide of battle and send the monsters home. But will they succeed, or will the citadel be overrun? 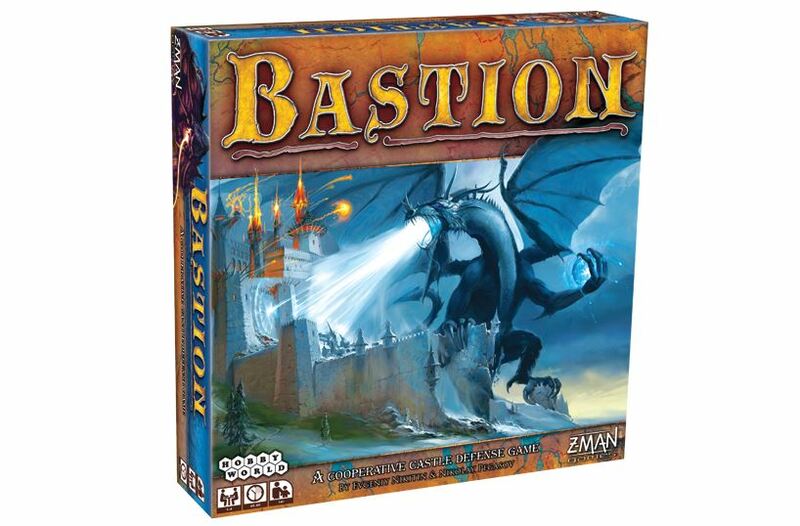 That's what you'll have to figure out in Bastion, the new cooperative tower defense game available from Z-Man Games. 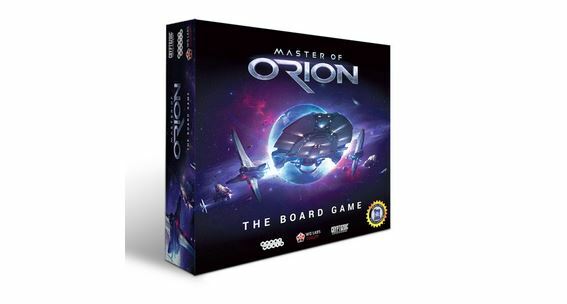 Well, it seems that Catalyst Game Labs isn't the only company making Master of Orion products. 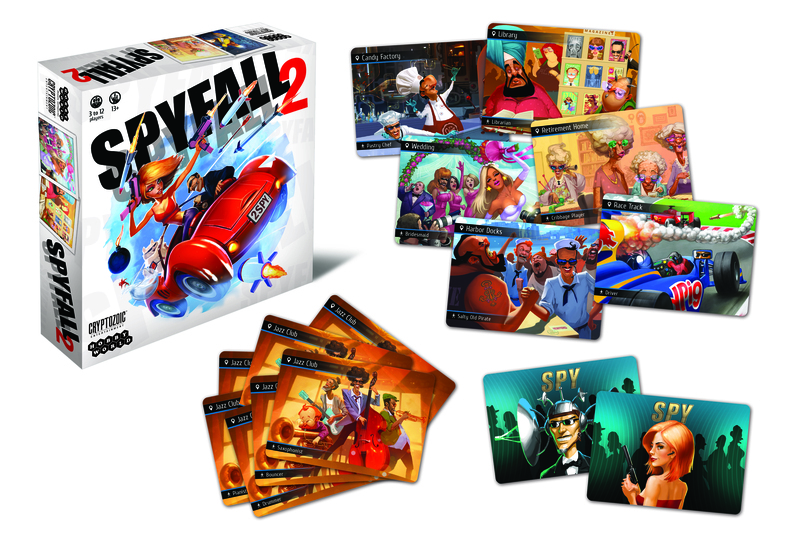 Cryptozoic and Hobby World are also coming out with games based on it. Their game will be available in just a couple weeks. Don't know about you, but I'm going to be putting together a pair of Guild Ball players (Granite and Veteran Siren) that Ray picked up for me at LVO. Then I'm gonna make my own protein bars (like Clif bars, for those that know about them) since I'm trying to get from the 110 stone that I currently am down to maybe an even 100. I also finished watching Black Books, so I need to find something else to watch. But that's as may be. What you all want right now are reviews. Let's get those to you. 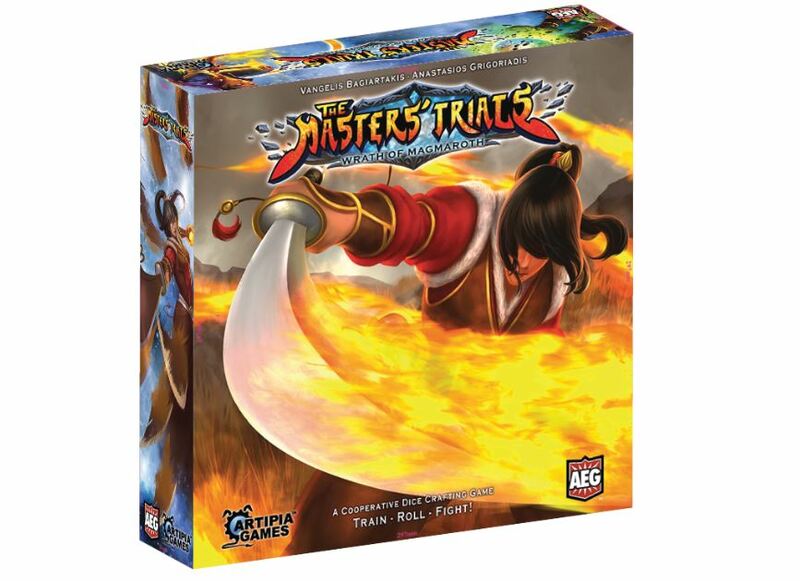 Today we have: Multiuniversum, Multiuniversum: Project Cthulhu, Hero Realms, Hero Realms Character Packs, The Mountains Rise, Legends of Andor: Journey to the North, Band Manager: Backstage Clash, Age of Sigmar, Imhotep, Cavern Tavern, Superhot, Forged in Steel, The Civilized Guide to Tabletop Gaming, Pirate Lords, and Steel Arena. It's Christmas Eve and the first night of Hanukkah, so there's a good chance you're hanging out with friends and family. Hopefully that includes playing games of some sort. But how do you know which game might be the best? Good thing there's reviews out there. And that's just what we're here with now. Today we have: Power Grid, The Bermuda Crisis Discovery Dawning, Grand Prix, Colt Express App, Red7 App, Legendary Inventors, Congo, Master of Orion, Final touch, Great Western Trail, Captain Carcass, and The Networks. Cryptozoic Entertainment and Hobby World are teaming up to bring a new game to US tabletops next year. 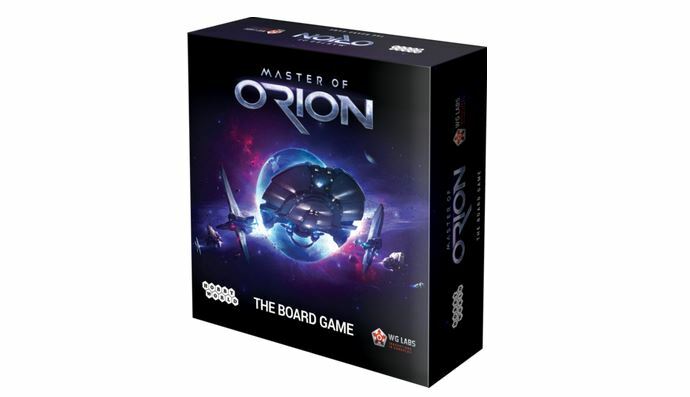 Master of Orion takes its theme and gameplay from the classic strategy video game, putting you in control of either the humans or one of the various alien races in an attempt to prove that you have what it takes to be in control as the Emperor at the Galactic Council. But which path will you take to the top? Another day, another game ported to English. 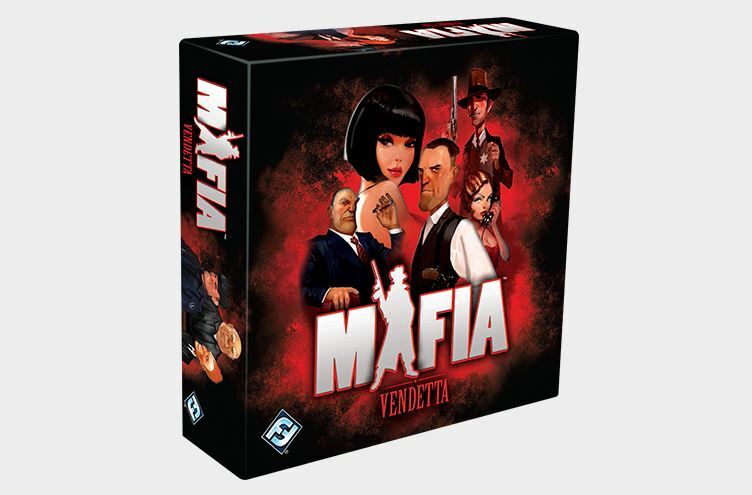 This time it's the supergroup of Fantasy Flight Games and Hobby World as they team up to bring you Mafia: Vandetta, the party card game of murder. The little town of Omerta was no stranger to the occasional murder. But now, it's a daily event. As the citizens try and stay safe and take out the mob, the mob is looking to gain total control. Licensing properties can cause some... interesting situations for us, the consumers. Things like "regional DVDs" and such can make it so a thing we want might be a bit tougher to get than usual. Well, such is the case with Star Wars Love Letter. Yeah, it's available from Hobby World. But unless you've got a contact who's also a Cossack, you might not be able to get one. As we tend to do after Friday, we are now deposited here on Saturday. That means all day getting the chance to do some gaming. 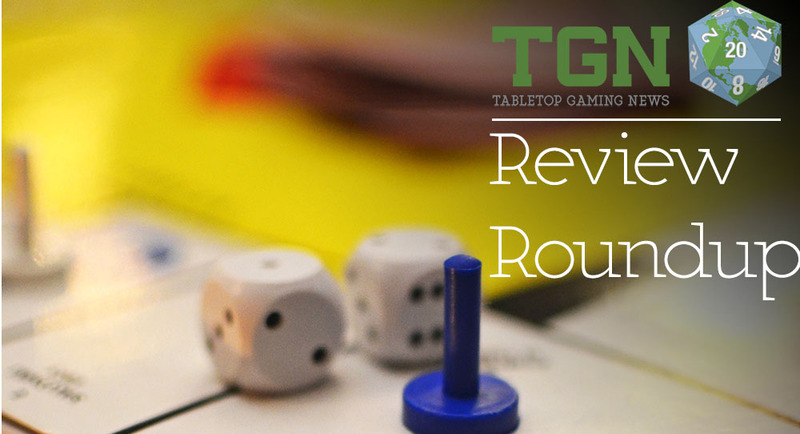 It also means we have our Review Roundup. This week we have stories on: Rory’s Story Cubes: Batman, King's Pouch, Space Movers 2201, Warehouse 51, Neon City Rumble, Viceroy, Machina Arcana, 7 Wonders: Duel, Age of Tyrants Junkers and Viridians, The Minecraft Card Game, Battle Foam P.A.C.K 720 Molle Army Bag, Thunder Alley, Halo: Fleet Battles, and Starfighter. Welcome back to Saturday, everyone. With any luck, you're having some fun gaming with friends, or will be having such fun soon. I mean... it's Saturday. Gaming is just what you do! But at the moment, what we are doing is looking at some review from the past week. This batch we have reviews/previews of: Broom Service, Dragonwood, Res Publica: 2230, Murano, Viceroy, Dropzone Commander, Game of Thrones LCG 2nd Edition, Systema Gaming Base-0 Storage Silo, and Warlord Games' plastic M3A1 Half-Track. Hobby World will be at Spiel Essen and they've got quite a lineup planned for the show. It’s that special time of the year again — the long-awaited Essen show is upon us! October 16th-19th Essen becomes the center of the world for all boardgamers. Hobby World is totally going to be there! We will be located at the same place as we were at last Essen — Hall 1, Booth E151. 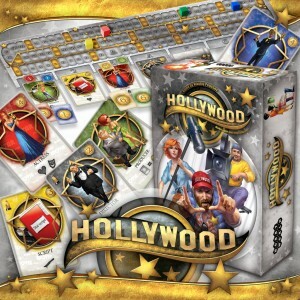 Club Fantasci is giving you a chance to win Hollywood from Hobbyworld Games. 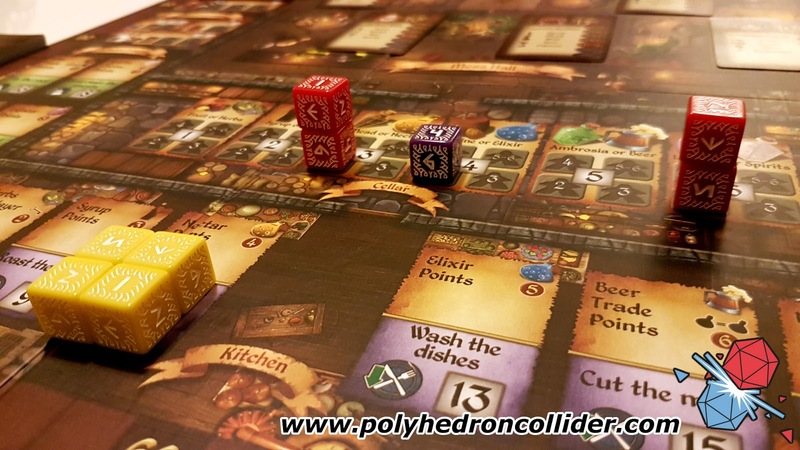 Enter for your chance to win Hollywood: How To Make Your Own Blockbuster + The Other Side of Hollywood Add-on from Hobbyworld Games and Club Fantasci. Hobby World is in their final day on Kickstarter for their Hollywood board game. They're still breaking through stretch goals, with more posted to check out. Thanks to all of you for backing and spreading the word about Hollywood! Every effort helps! Getting to $45,000 to unlock Festival Deck does not seam easy but still is real. Campaign reminders brought many boardgamers here. However, reminders alone are not enough. Do not hope for someone else to make that final push to get us to Festivals. It is your own action that can make the difference. It’s your turn! Hobby World has added the Location Scout to Hollywood. They've got just under 3 days left to get through some more stretch goals. Hollywood is now entering the final days of Kickstarter campaign with only 3 days to go! A new stretch goal unlocked - Location Scout. Location Scout adds 2 million to your movie and makes every green card of your movie count as an additional award symbol for the purpose of determining the Movie of the Year! Location Scout is perfect for movies that have many green cards. Hobby World made it past $30k and has unlocked the player aid cards for their Hollywood campaign. Next up is the Location Scout. We passed another milestone. Hollywood is funded at $30,000! Your support does have a very noticeable effect. We still have a way to $45,000 but now we have much better chances to get there. It’s possible if you spread the word about Hollywood wherever and whenever it is appropriate. Right now we are adding 6 player aid cards to the game! 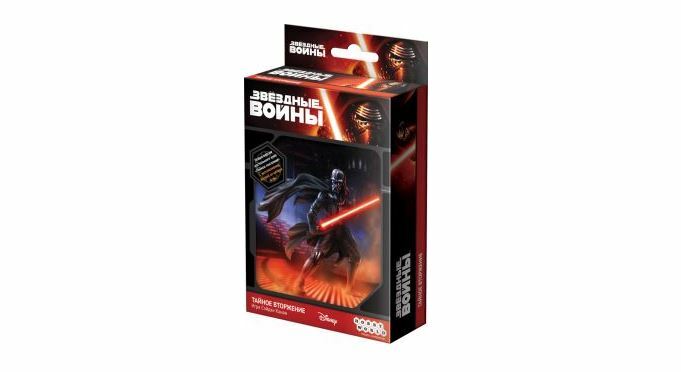 Hobby World is showing off a new stretch goal for Hollywood. If they make it to $45k in the next 6 days, they'll add a new Festivals deck to the game. 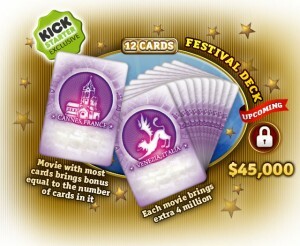 A whole new Festival Deck of 12 cards has become the stretch goal of Hollywood campaign! Each card of Festival Deck represents… as you already guessed, a movie festival! You reveal a card from the Festival Deck at the beginning of each production year to add some surprising flavor to your movie making groove. Nikolay Pegasov, author of Hollywood, made every card of Festival Deck with real festivals in mind. Hobby World has posted up the Spanish edition of their rules for Hollywood over on their Kickstarter page. 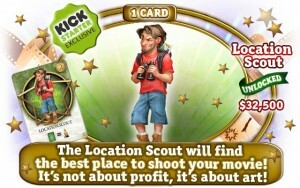 Hobby World is unlocking more and more cards for their Hollywood Kickstarter campaign. But as always, there's still more to go! Another strong Star card is added to Hollywood! Actor/Actress stretch goal is unlocked! What’s the deal with the question mark? As you may know, we’ve decided to change the art for Actor/Actress after we've listened to your feedback. We had some hesitations with the original art ourselves. Well, new version is coming soon! 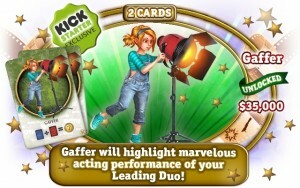 Actor/Actress is a very useful card and it makes forming leading duos easy. You don’t need to worry about getting a specific actor or actress skilled at a certain genre. Actor/Actress is so experienced that he (she?) fits any role! There were many great actors and movies mentioned during Actor/Actress discussion: Robbin Williams in Mrs. Doubtfire, Julie Andrews in Victor Victoria, Linda Hunt in The Year of Living Dangerously. Pick of Nikolay Pegasov, Hollywood’s author: Dustin Hoffman in Tootsie. 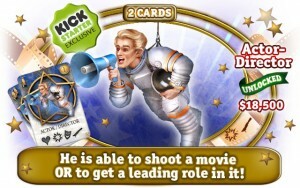 Hobby World has unlocked another card in their Hollywood Kickstarter campaign. This one's the Director of Photography. 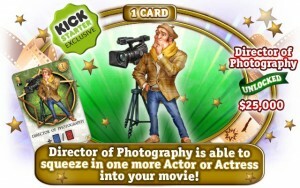 We have a new Star card in Hollywood – Director of Photography! As you may know, the idea for this card was suggested by you – Hollywood’s backers. 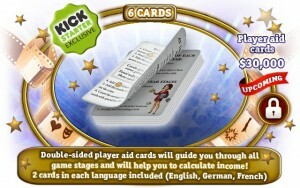 It is possible that we will do other stretch goal cards based on backers’ feedback. We already work in that direction! Right now we look for ideas on how to draw "Other Side" cards. If you have any great suggestions– let us know by posting comments! Hobby World has added their The Other Side of Hollywood add-on to their Kickstarter campaign. They're also through several more stretch goals, with a few more posted, too. We have already unlocked a lot of stretch goals and added 14 cards to the base game. We are grateful to all of you for support and great ideas! Now, as we have promised, we are ready to show you something very different. We proudly present — drum-roll! — The Other Side of Hollywood! All of us, as movie fans, mostly see the final result of film crew’s hard work when we go to a cinema. You buy a ticket, grab your pop-corn and enjoy a great (or weird!) performance of movie stars. You argue about plot holes and admire visual effects. 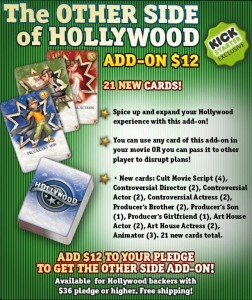 Hobby World has added a new card to their Hollywood Kickstarter campaign. Hobby World made it through more stretch goals in their Hollywood Kickstarter campaign and added the Actress-Director to the game box. A fresh new stretch goal is unlocked in Hollywood! Actress-Director joins Hollywood movie-making team! Actress/Director is a Star card. Thos card can become one of the most wanted additions to any movie-making crew. 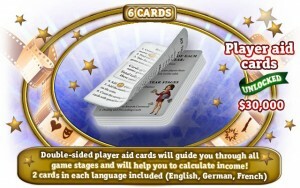 Actress/Director gives you maximum benefit if you were able to get the card before drafting. Having this card from the very beginning of the round will help you to be flexible about your future picks at drafting and auction.